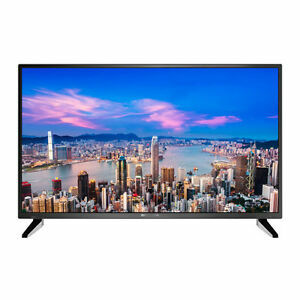 Featuring full 4K resolution, the Bolva 55-inch Ultra HD television features 3840 x 2180 resolution, giving you a crisp, clear, and detailed image. The 4000:1 contrast ratio reveals deeper blacks and brighter whites, while the 60Hz refresh rate creates a smoother, more appealing image. This television comes with four HDMI ports as well as component, composite, and RF inputs. It also features an optical audio out and analog audio out. great tv, and fast delivery!! Highly Recommended!! A+++ Seller!!! Ships extremely fast!!!! I don't normally write reviews but I took a chance on it since the brand name was foreign to me. This is a great tv for the price. Got it on sale with a coupon for 300. The picture quality is excellent, on par with LG/Samsung panels. The sound definitely is lacking but if you turn the treble and bass up in the settings that helps it sound more full. It doesn't support hdr10 as far as I can tell. It's not labeled on the box at least but it has 4:4:4 chroma support so that was a nice surprise. As far as build quality, I would give it an 8/10. Not perfect but decent for the price. I can't comment on reliability as I haven't had the tv long. 1 WK and it's still working great so far. This TV has excellent picture quality, many custom setting features and is exceptionally light for its size. You will need at least a 52 in surface to sit it on as the support feet are far to the outer edges. There are no AUDIO OUT ports to connect to a surround sound, but I was able to use the small headphone audio out port with an adapter to cnx to my sterio- now it sounds great. The tv speakers sound a little "tinny". Well worth the price though. XBOX looks fantastic on this set. 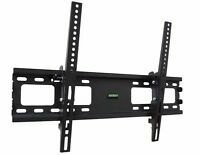 Tv picture is excellent and is easy to use the 4 hdmi slots are nice. The only con is the sound is very tinny. Like somebody cranked the mids on a 3 band eq and it got stuck. we love the TV. It has a nice picture, crystal clear and high definition 4K. The sound is not as good as our other TV's but it is not as bad as some people claim. well, at least with ours it isn't as bad, it's good enough with out the sound bar. But we keep the volume around the 20s-40s when you go higher than 60 the sound does sound muffled a bit. worth every penny though!! !